The condition at the London Diamond League held last weekend was atrocious. 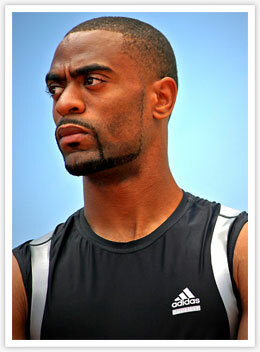 It was damp and cold, but American sprinter Tyson Gay spring a surprise in the blue-ribbon event. He ran in a time of 9.78 seconds with a slight headwind of 0.4 m/s to win the event. Race-wise the 28-year-old had a good start, led from the blocks and never relinquished the lead at the Crystal Palace event. Close behind was Yohan Blake of Jamaica coming in second in a time of 9.89 seconds, while Richard Thompson of Trinidad and Tobago was third in 10.05 seconds. The 100m line-up was of course missing injured Jamaican rivals Usain Bolt (lower back injury) and Asafa Powell (groin problem).